All of our cases at Sherlock’s Escapes have a story that connects them together. If you’re interested in getting the full story as it unfolds, we recommend doing the cases in the order listed below*. However, the order in which you solve the cases won’t affect your enjoyment or chance of success. Family friendly – great for all ages! This is the perfect case to crack if you have a larger group! 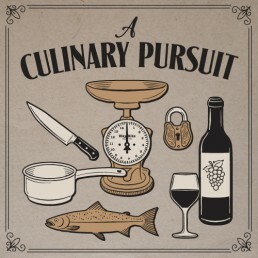 A Culinary Pursuit is our largest experience and is packed full of puzzles of all types. As with all of our cases, it is a family and kid friendly experience. All areas of the experience are relatively well lit, with no need for climbing or crawling. This is currently the first case in our series, so if you’re looking to get the full story on Sherlock’s whereabouts in order we recommend you start here. We need to be stealthy but also quick. Sherlock’s Escapes detective agency can’t afford to wait for the slow grind of the police but also cannot get caught in the act of illegal entry into the apartment. 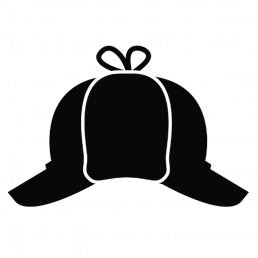 This is a great experience for new and experienced detectives alike! 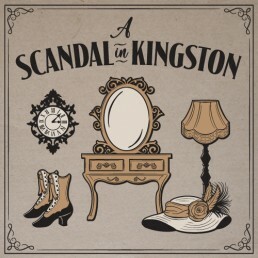 A Scandal in Kingston offers a mix of puzzles that are exciting and challenging. As with all of our cases, it is a family and kid friendly experience. While our intention is never to scare or frighten our guests, there may be some areas that are dimly lit. As well, there may be spots where climbing is involved. If you are uncomfortable at any point, we always have a workaround available. Expectations were high after the discovery of Irene’s apartment. Unfortunately, our villain threw us a curve-ball and we discovered that another valued member of our detective agency is in trouble. Desperate times call for desperate measures and we need some brave detectives to help in a jailbreak. Le premier cas mystère bilingue à l’agence! 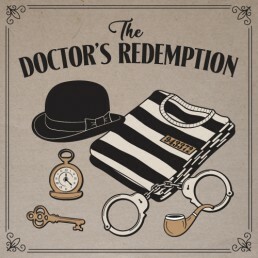 The Doctor’s Redemption is our newest case on the hunt for Sherlock. This experience has a heavy focus on collaboration and communication. Some areas are dimly lit and require maneuvering around obstacles. Come test your skills in this exciting new adventure! 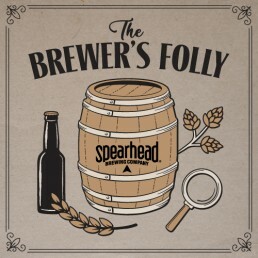 Tom Schmidt, head brewmaster at Spearhead, has mysteriously disappeared. We suspect the infamous Jim Moriarty is behind this dastardly act. While Tom’s safety is of paramount importance to us, there is a complication – he’s hidden his brewing recipes away and the rest of the staff desperately need them if they have any hopes of delivering delicious new beer to this fine city. Do you have what it takes to solve the mystery? This is our newest case and it’s a special one! We’ve joined forces with Spearhead Brewery to deliver this experience. It includes a free 16oz Spearhead beer, a tour of the brewing facility and a 30 minute escape (inside the brewery!). All ages are welcome, however the free beer is only for those of legal drinking age. The brewery is well lit and the escape experience doesn’t involve any climbing or crawling. Once you’re done, stick around in Spearhead’s taproom and enjoy some of their delicious brews on tap. We are open by appointment only. Click here to learn about our rooms and book yourself an appointment. You will notice in looking at the room descriptions that there are recommended party sizes. Experienced escapists like “The Great Sherlock” can lean towards the lower suggested number, while novice escapists usually have a better time in higher numbers. What should I do before the game starts? It is crucial for your party to arrive at our location, 298 Bagot Street in Kingston, 15 minutes before the escape begins. Another group may be booked right after you and if you are later to enter the room you have less time to escape. Before you start the basics of Sherlock’s Escape rooms are explained and every participant will have to sign a liability waiver before the game starts. Can I take pictures during the experience? Sadly pictures and video recording devices are not permitted in rooms. We do have team lockers for you to store your wallets/cellphones/keys/etc. After a successful, or even an unsuccessful, escape attempt our staff is always excited to get any team shots you wish. Everyone is welcome! Any minor (under the age of 18) must have a guardian to sign his/her waiver form. It is suggested that participants under the age of 12 have a guardian in the escape room with the team. Should you have concerns, please feel free to contact us! In order to save time at arrived feel free to download the PDF below to have signed and dated before your escape. Happy Sleuthing! We are located on a second floor studio that is only accessible by stairs. We apologize for the inconvenience. Some rooms may require ladder climbing or a kneeling maneuver through a narrow passageway. Our overall aim is not to “trap” or “terrify” people. Toilet breaks are sometimes necessary. Some people end up realizing that they just do not like the experience. As a result, you can leave the escape room at any time because your entry door to the room is not only the entrance but also your emergency exit. Potential players who feel they have a special case for one reason or another can contact us in advance so we can best advise them about trying a room. However, the game generates excitement and if you are not up for it, you might not want to play! Like everything in life, it depends. Our rooms are designed with enjoyment, excitement, and safety in mind. With that said, if you have a limitation that makes crawling, stairs, or standing for up to an hour difficult, then perhaps this isn’t for you. If you are unsure, please contact us in advance so we can best advise you. Conditions of common issue include but are not limited to, claustrophobia, severe heart conditions, and greatly limited mobility to name a few. Our staff reserve the right to refuse anyone admission to the escape rooms should they deem it necessary, so if you are unsure please call us beforehand. What if I miss my booking? Cancellations are possible with 72 hours prior notice. After that, matters are usually finalized. It is always possible to give/sell your booking to a friend if a cancellation is not possible, provided you inform our office. Additionally, your deposit for booking counts towards your final price. Changes in group size are possible provided you remain within room limits. How do I book a larger event? Can I make a solo or private booking? Our escape rooms are designed for multiple participants, so no you cannot play alone. However, all bookings are private unless otherwise stated, so only your party will be in the room with you.